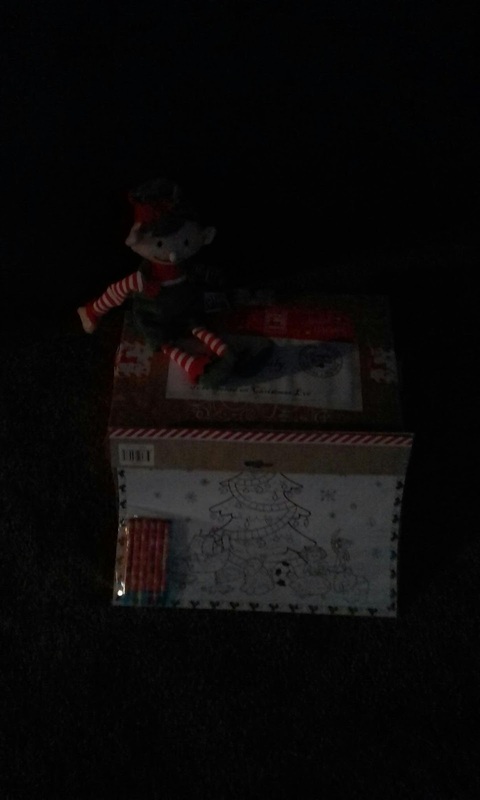 When we opened the box we found a letter from Santa, a Christmas movie , a Christmas penguin toy, a Christmas Story, reindeer food, 3 nice list certificates, some individual bags of popcorn and some chocolate. There was a clean potato delivered yesterday because mr attitude arrived. Luckily he didn't stay long, and no more potatoes have arrived since.